Jack Nicklaus, the 18-time Major winner considered by many as the greatest golfer in the history of the game, has been awarded Honorary Life Membership of The European Tour. 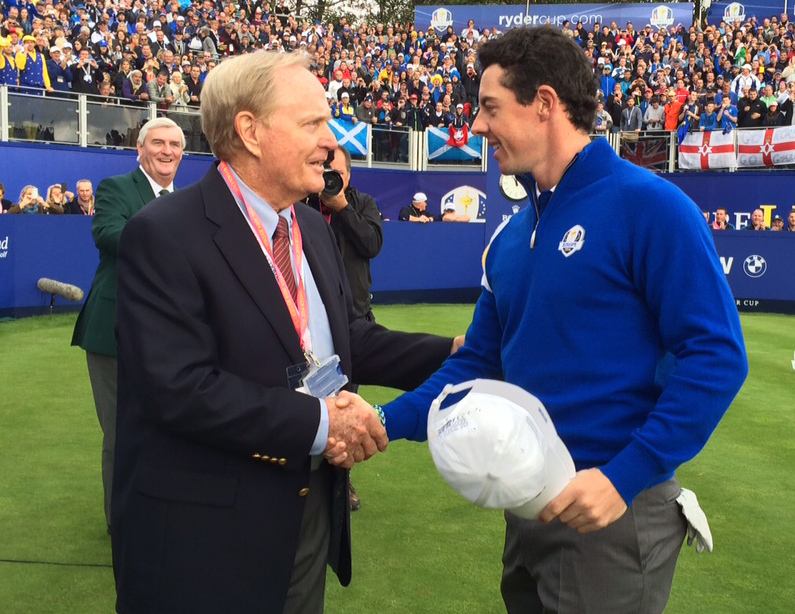 The American was presented with a silver membership card by George O’Grady, Chief Executive of The European Tour, at the announcement outside the Gleneagles Hotel in advance of the final day of The 2014 Ryder Cup, played over the PGA Centenary Course Nicklaus designed. The Golden Bear then met with a who’s who at The Ryder Cup, and did live commentary with Sky Sports.